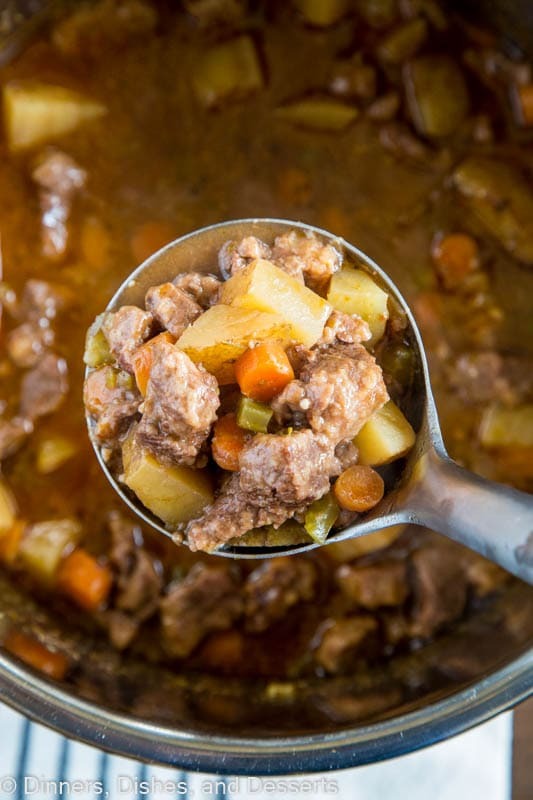 Instant Pot Beef Stew – The perfect hearty stew for a cold night. 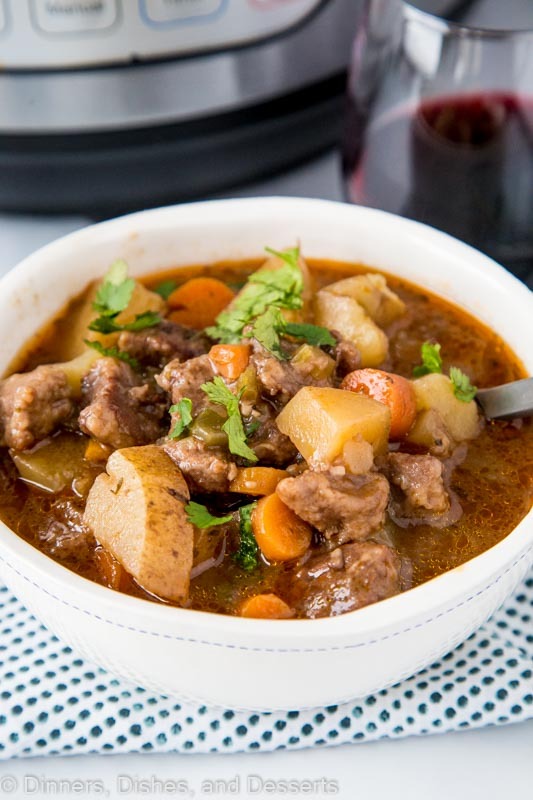 Tender beef simmered with celery, onions, carrots, potatoes and red wine. 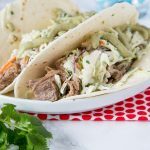 I have been obsessed with using my Instant Pot lately, it just makes dinner so easy. 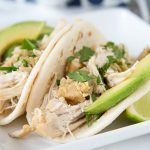 These Instant Pot Chicken Tacos are perfect for busy weeknights. 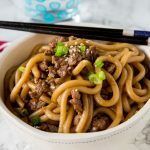 You can cook a cut of meat that normally takes hours in just minutes and it comes out super tender and delicious. 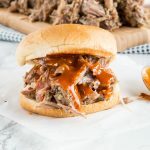 This Pulled Pork is the perfect example. 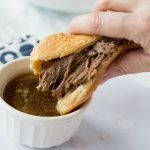 Today I am showing you how stew meat that normally cooks for hours to get super tender is ready so much faster in the Instant Pot. When I was growing up my mom used to make stew all of the time. I have to say it wasn’t my favorite, but that was usually because of the vegetables she put in it. Now I fill with my favorite and it is comforting, hearty, and exactly what I crave on a cold night. Stew meat is great to use for stew, because it is already cut and ready to go. You can also use a chuck roast and trip and cut into 1 inch chunks if you want. Coat the stew meat in flour and season with salt and pepper. This helps to thicken the stew. Set your Instant Pot on the Saute setting and brown the meat. You may need to do this in batches. After the meat is browned, remove it from the pan and set aside. Next brown your onions, carrots and celery until they are soft. I like to deglaze the pan with the tomato paste and red wine. Scrape up the brown bits at the bottom of the pan. They have lots of great flavor. Add back in the meat and and all the other ingredients. Mix until everything is well combined. 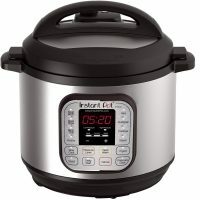 Seal your Instant Pot and set on high pressure for 35 minutes. Let it naturally release for 15 minutes before quick releasing until it unlocks. If you want to thicken your stew mix together water and cornstarch and immediately mix into the stew. Set to Saute so the stew can come to a boil and thicken slightly. Serve immediately and enjoy a comforting and hearty meal! 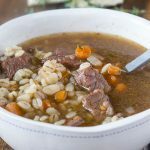 Pressure cooker beef stew makes for the most tender beef, you won’t go back to making it on the stove top again. 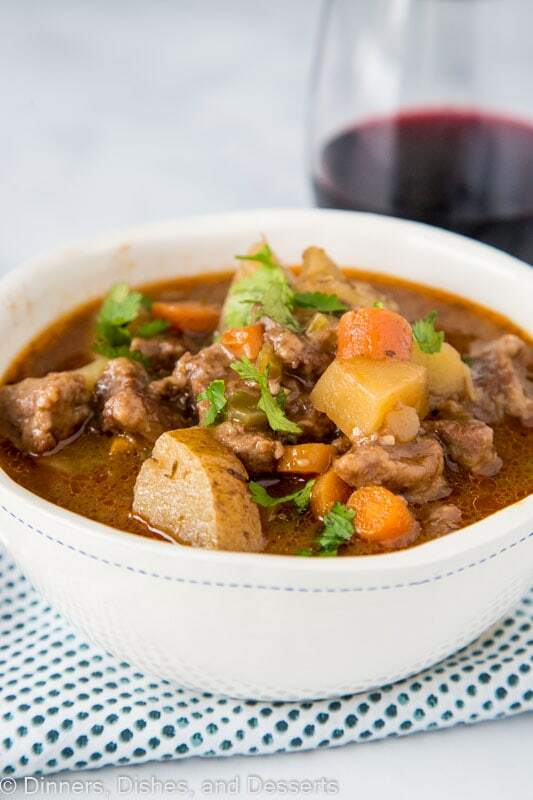 I like beef stew with red wine, because I think it gives it a great depth to the flavor. If you don’t want to use red wine you can just use more beef broth, it will work just as well. 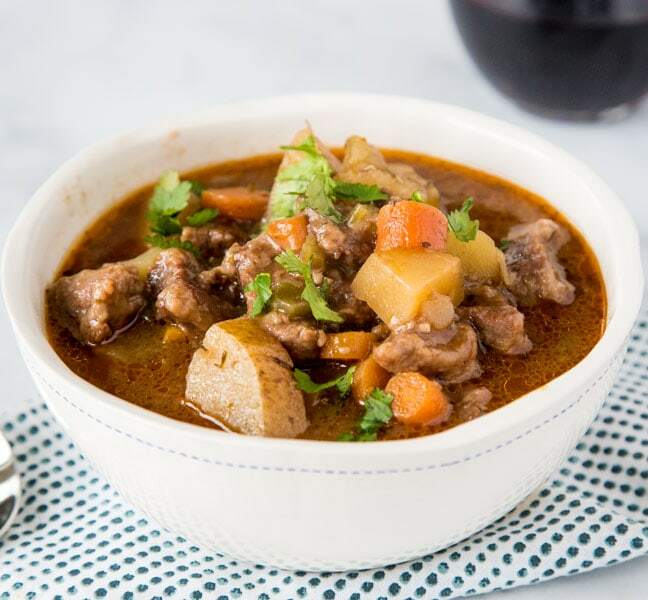 In Instant Pot makes this such an easy beef stew to make. Aside from sauteing the veggies and browning the mean, you just dump all the ingredients and let it go. Just like with Wild Rice Soup, or pretty much any soup, I like bread with my stew. Homemade Crescent Rolls are absolutely perfect with with. But if you don’t want to take the time for the yeast to do its thing, you can go with something quicker. This Easy Biscuit Recipe is great to make in just minutes. Yes, you can definitely freeze beef stew. It is best to let it cool before putting in an air tight container in the freezer. You can freeze in smaller portions to make reheating for lunch. Or freeze in a large container and then reheat on the stove top for an easy dinner. I find the best way to thicken beef stew is with cornstarch. The stew meat is lightly coated in flour so whether you want to thicken the stew is completely up to you. Mix about 2 Tablespoons of water with 2 Tablespoons of cornstarch and then add to the stew right at the end. Bring to a boil and it should thicken in just a couple minutes. Yes, beef stew is great reheated. 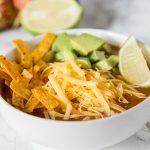 You can microwave one bowl at a time or heat a large batch on the stove. You can definitely make this stew ahead of time. It is super easy to prep the veggies the day before and just throw it together the day you want to make it. Chop the onions, celery, and carrots and store them together. 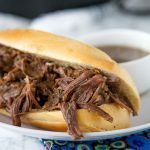 If you are using a chuck roast, you can chop all the meat and have that done ahead of time. So when you want to cook it, you just pull everything out and saute and do the pressure cooking part. Or you can do everything ahead of time and then just reheat when you want to serve it. 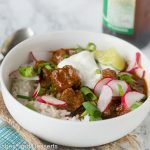 Instant Pot Beef Stew - The perfect hearty stew for a cold night. 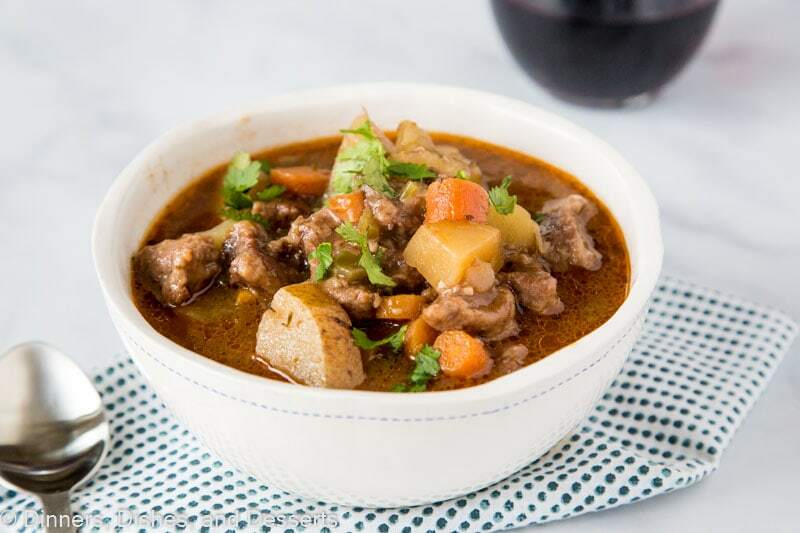 Tender beef simmered with celery, onions, carrots, potatoes and red wine. Set Instant Pot to saute and add oil to the pot. When it is hot, add beef and brown for 3-4 minutes. Don't over crowd the pot, if you need to do this in batches, that is ok. Remove the browned meat from the pot and set aside. If necessary add additional oil to the pan. Add onions, carrots and celery and cook for 4-5 minutes until veggies are tender. Add garlic and cook for 1 minute. Mix in tomato paste and red wine. Scrape the bottom of the pan to get up all the brown bits. Add in the beef, beef broth, Worcestershire sauce, bay leave and Italian seasoning. Mix until well combined. 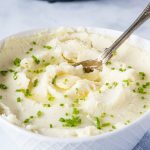 Seal the Instant Pot and cook under high pressure for 35 minutes. Naturally release for 15 minutes before quick releasing to finish. If you want to thicken the stew, set the Instant Pot to Saute to bring the stew to a boil. Mix together water and cornstarch and stir into stew. Cook for 2-3 minutes until it thickens and serve. Beef Stew is one of my favorites dinners, I cannot wait to make this! 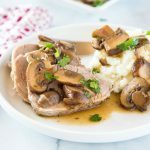 I can’t get enough of instant pot meals and this is one of a kind. It looks absolutely amazing !! I love that these deep, rich flavors can be developed in the IP so quickly! I can’t wait to try this recipe! That looks and sounds so good, can’t wait to try it! 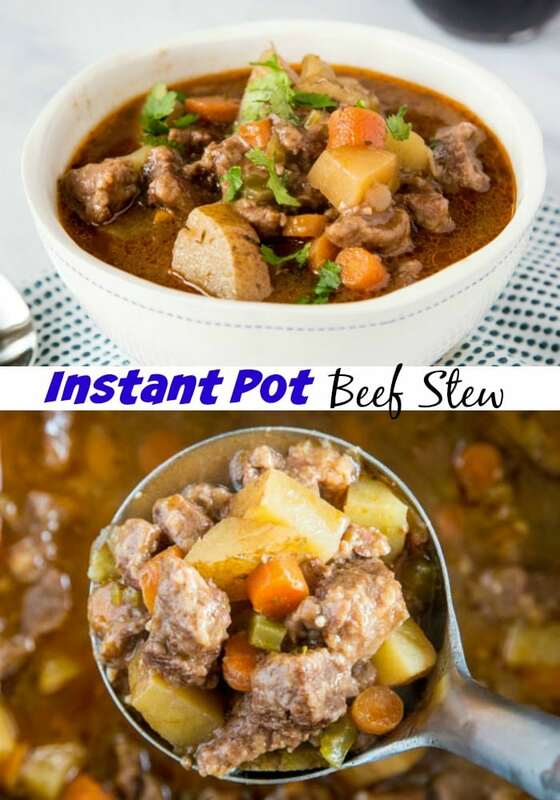 I love the idea of making stew in the instant pot. This seems like a great recipe. I love that you are very detailed with the ingredients and instruction. This seems like a really hearty meal. It definitely looks out of this world! It looks so rich and full of flavor! Love this on a cold night! WOW! This beef stew looks delicious! This stew looks like one hearty and comforting dinner. 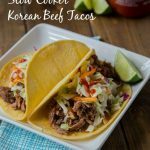 I love that it easily comes together in the instant pot!